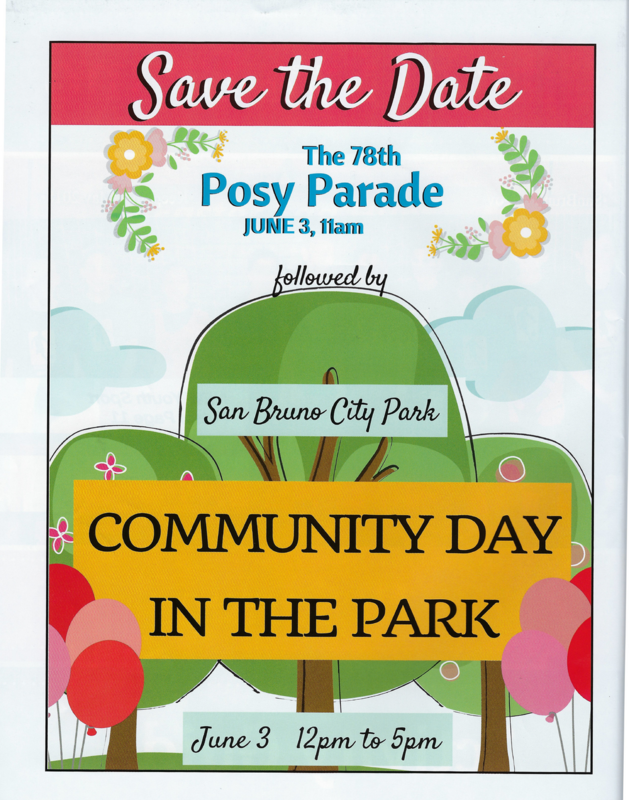 Come and join your friends and neighbors on June 3 for the annual Posy Parade and Community Day in the Park! 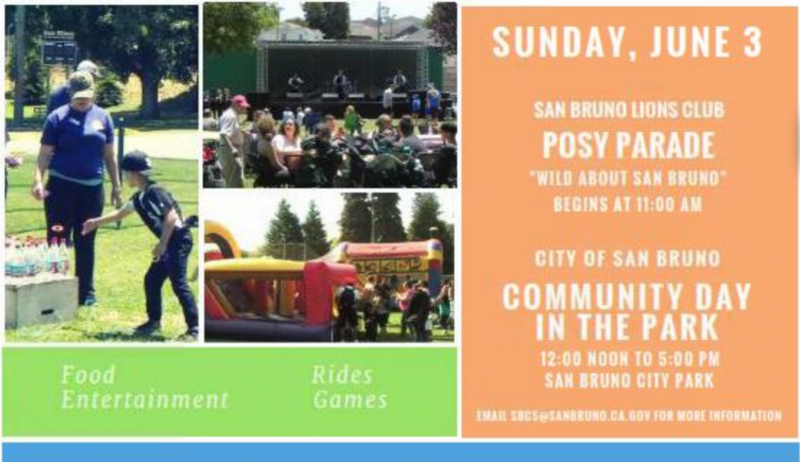 The fun begins with San Bruno Lions Club Posy Parade at 11:00 a.m. followed by City of San Bruno Community Day in the Park at noon at San Bruno City Park. There will be food, entertainment, rides and games – you won’t want to miss out! Pre-sale ride bands are available at the Recreation Center and City Hall for $10 each before June 3. For more information contact Recreation Services, (650) 616-7180.